DNIPRO, Ukraine — The head of Ukraine’s top rocket-making company on Tuesday rejected claims that its technologies might have been shipped to North Korea, helping the pariah nation achieve a quantum leap in its missile program. KB Yuzhnoye chief Alexander Degtyarev voiced confidence that employees haven’t been leaking know-how to Pyongyang, according to remarks published Tuesday by the online site Strana.ua. While denying any illicit technology transfers from the plant in the city of Dnipro, Degtyarev conceded the possibility that the plant’s products could have been copied. The New York Times reported Monday that North Korea’s rapid progress in making ballistic missiles potentially capable of reaching the United States was made possible by black-market purchases of powerful rocket engines, probably from KB Yuzhnoye’s plant. Ukrainian officials angrily rejected the claim. Pyongyang had displayed a keen interest in the plant before. Degtyarev mentioned a 2011 incident in which two North Koreans posing as trade representatives tried to steal technologies from the plant but were arrested. In 2012, they were convicted of espionage and sentenced to eight years in prison each. 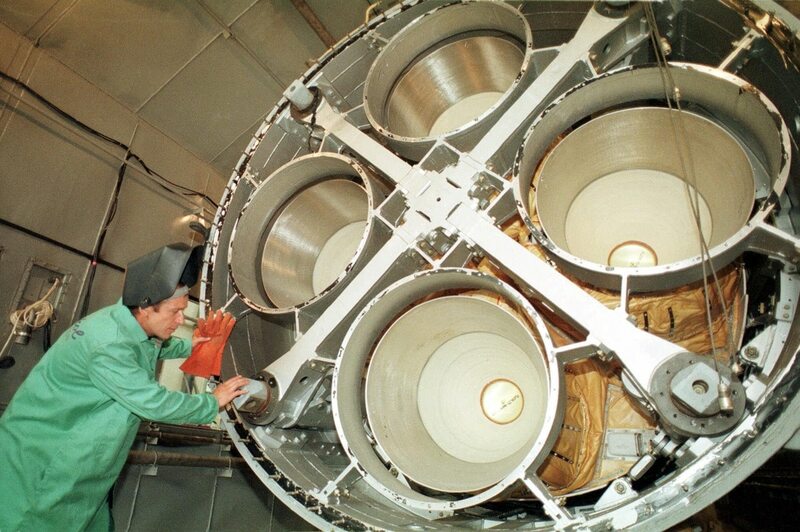 KB Yuzhnoye and its Yuzhmash plant in Dnipro has been a leading maker of intercontinental ballistic missiles since the 1950s and produced some of the most formidable weapons in the Soviet inventory. Its designs included the heavy R-36M, code-named Satan in the West, which is still the most powerful ICBM in the Russian nuclear arsenal. 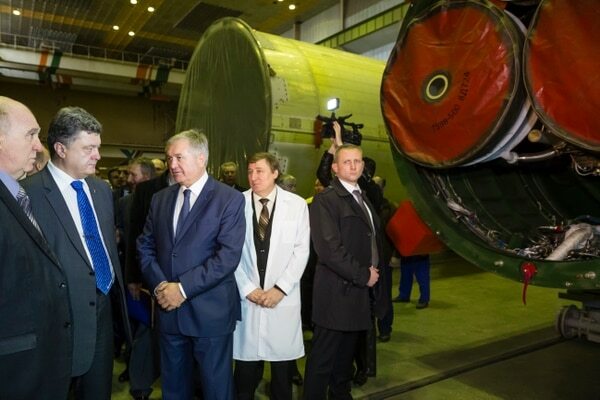 After Ukraine shipped all Soviet-era nuclear weapons to Russia after the Soviet collapse under agreements brokered by the United States, the plant in Dnipro has relied on cooperation with Russia’s space program to stay afloat. But the collaboration ended as the two ex-Soviet neighbors plunged into a bitter conflict. Moscow responded to the ouster of Ukraine’s Russia-friendly president in 2014 by annexing the Crimean Peninsula and supporting a separatist insurgency in eastern Ukraine. The termination of ties with Moscow has left the Dnipro plant struggling to secure orders. Earlier this summer, a report in Popular Mechanics alleged that the Chinese expressed interest in a propulsion module designed by KB Yuzhnoye for the Soviet lunar program. KB Yuzhnoye angrily dismissed the claim, insisting that it hasn’t transferred any rocket technologies to China. Despite official denials, Ukraine’s past record with the illicit transfer of sensitive technologies have raised concerns. Shortly before the 2003 war in Iraq, the United States accused the Ukrainian government of selling sophisticated Kolchuga military radars to the military of Iraqi leader Saddam Hussein. Ukrainian officials acknowledged in 2005 that six Kh-55 Soviet-built cruise missiles were transferred to China in 2000 while another six were shipped to Iran in 2001.